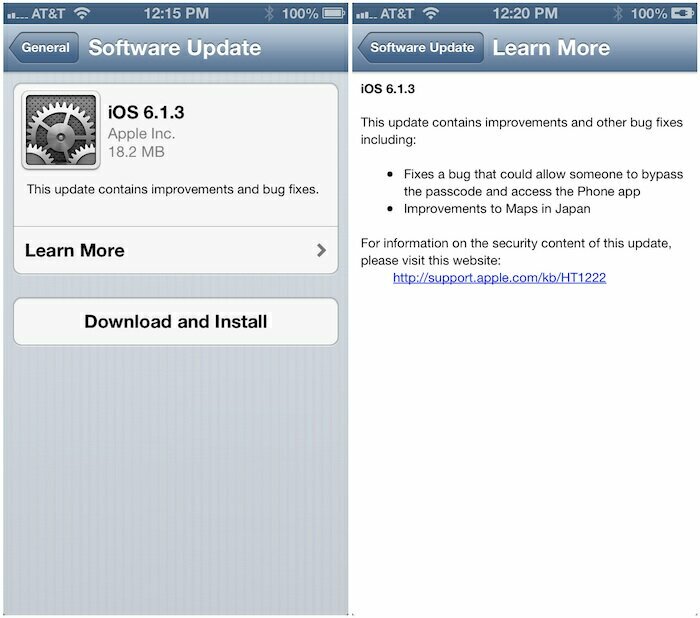 Apple has just released iOS 6.1.3 to the public and includes minor enhancements including a fix for a passcode security bug, improvements to Maps in Japan and it addresses at least one of the security holes used by the evasi0n jailbreak tool. So if you love your jailbroken device, do not update! Everybody else, do update, since it fixes a vulnerability that has been discovered in iOS 6.1 that can be exploited to bypass passcode locks on iOS devices. You can download the “18.2 MB” iOS 6.1.3 via the over-the-air update on your iDevice.